Teletubbies, Ghostbusters, Buzz Lightyear, Tracy Island. Just some of the super-selling, over-hyped toys that have caused utter mayhem in the toyshops at Christmas in years gone by. Who'd have thought that in 2007 the most highly prized Christmas gift would be a £179 Nintendo games console? Two years ago it seemed unthinkable. But despite churning out 60,000 Wii consoles every day, Nintendo still cannot make enough to satisfy the extraordinary worldwide demand. Shops that are lucky enough to receive new stock are selling out within minutes of the consoles arriving. As a result, many people are turning to alternative sources to get their hands on a Wii before Christmas. eBay is seemingly the forum of choice for Wii-suitors. And while prices on the auction site are slowly creeping up as Christmas approaches, eBay is not as bad an option as you might think. At least, not yet. 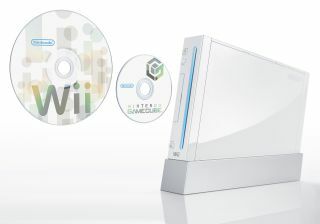 Wii auctions are regularly being won on eBay to the tune of around £270 including postage. That's £100 more than the recommended retail price. A steep price to pay for some, but a soft blow for many considering how high prices could potentially go in the next few weeks. The key here is that because so many people are trying to make a quick buck online, a competitive market has been created. There are so many Wiis available on eBay that prices are being kept low - better for buyers. Expect prices to skyrocket if supply suddenly dries up, though. We'll keep an eye on eBay prices in the run-up to Christmas and let you know if they start to become ridiculous. You can expect some stupidly expensive last-minute deals to go through as Christmas Day approaches. The highest price on eBay UK currently sits at a cool £9,223. And don't forget that extra £20 for postage and packaging. But of course only an idiot would pay this much for a Nintendo Wii. The £270 market has held true for the last week so there's no sign of an increase yet. Incidentally, you can easily get hold of a PS3 console for around £270 brand new - the same as Wiis cost on eBay. And the Xbox 360 Premium console currently costs £250 on Play.com. So if the cheap price was one of the crucial factors behind your decision to buy a Wii, you could consider getting something else.